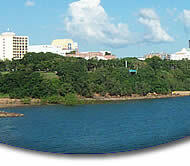 Whats On Darwin maintains high standards for the protection of privacy over the Internet. The purpose of this statement is to explain the types of information Whats On Darwin obtains about visitors to our websites, how the information is obtained, how it is used, and how visitors can restrict its use or disclosure. The only information Whats On Darwin obtains about individual visitors to our websites is information supplied voluntarily by the visitor. This means that you can visit our websites without telling us who you are or revealing any information about yourself. To gauge the effectiveness of our websites, we do collect some non-individually identifiable generic information about our visitors. Our web servers automatically recognise a visitor's domain name (such as .com, .edu, .net, .au etc. ), the web page from which a visitor enters our site, which pages a visitor visits on our site, and how a visitor found the site. This information does not reveal a visitor's identity. We aggregate this information and use it to evaluate and improve our websites. You can choose to provide individually identifiable information to Whats On Darwin in a number of ways through our websites - by ordering a service from us, sending us an email, registering to receive our newsletter, registering on one of our discussion boards or entering a contest. When visitors supply information about themselves for a specific purpose, Whats On Darwin uses the information for that purpose (such as to provide the information the visitor has requested). We do not sell or disclose individually identifiable information obtained online about our visitors to anyone outside of Whats On Darwin unless it is required by law, or disclosure is necessary to protect the safety of customers, employees or property. 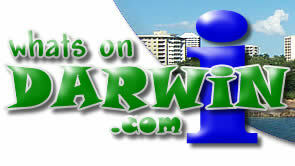 Whats On Darwin is committed to safeguarding customer privacy on all Whats On Darwin websites. We require our employees to protect the privacy of information about our customers and expect our partners, clients and suppliers to do so as well. You can feel confident that your individually identifiable information will be protected when you access webpages through our websites, order services from us or contact us over the Internet. We employ security measures to safeguard your transactions with us. Whats On Darwin websites may contain links to other sites. We are not responsible for the content or the privacy practices employed by other sites. To improve the services we can offer you, Whats On Darwin may opt to expand its capabilities for obtaining information about users in the future. Whats On Darwin will update this privacy statement continually to ensure that you are aware of developments in this area. Whats On Darwin has adopted Privacy Principles that state our commitment and define our policy on safeguarding customer privacy in all of our businesses.